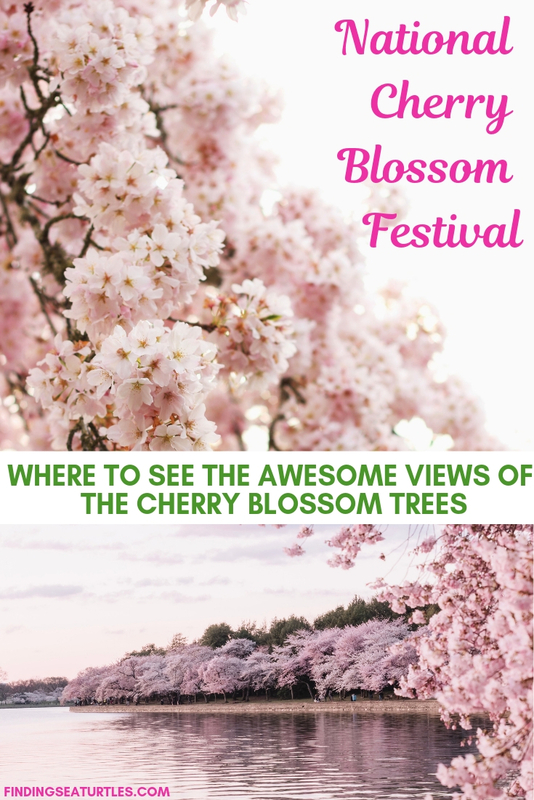 Visit the National Cherry Blossom Festival 2019 for awesome cherry blossom viewing. If you love Cherry Blossoms, you won’t want to miss out on this experience. Bring the entire family for a fun filled festival surrounded by these gorgeous cherry blossoms. There are many family activities scheduled including a parade. 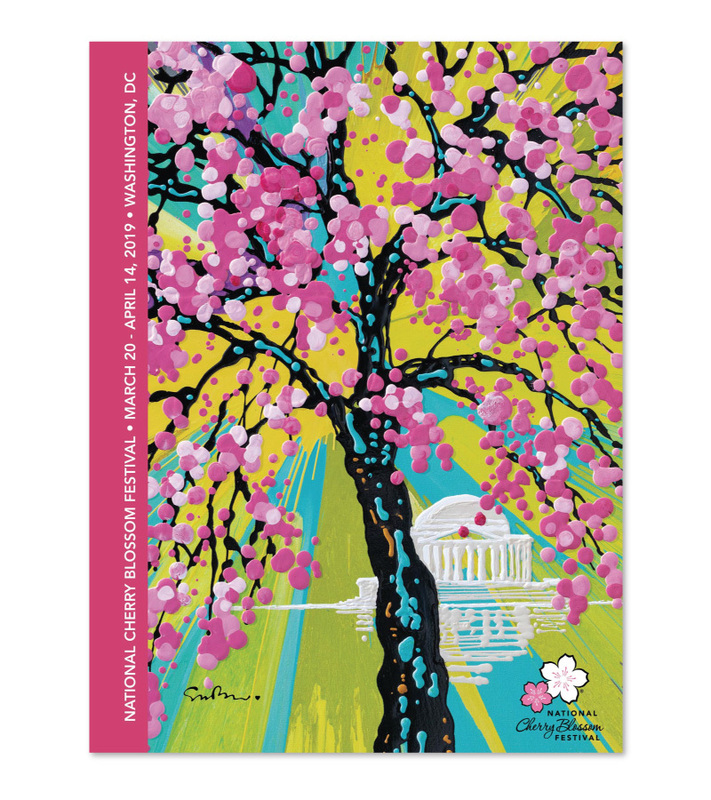 Attend the National Cherry Blossom Festival and celebrate the Spring time. Visit our nation’s capital and bring family and friends. An annual event, the National Cherry Blossom Festival is held in Washington DC. Find something for everyone including young and old alike. Enjoy the festival and see these gorgeous cherry blossoms. See the Yoshino Cherry Trees and other cherry trees as well. See these breathtaking blossoms at three National Park locations in Washington. First, at the Tidal Basin in West Potomac Park. Second, at the Hains Point in East Potomac Park. Third, at the Washington Monument grounds. All three of these parks have these beautiful trees with the loveliest blossoms. Access to the Potomac Parks and the Washington Monument grounds is free. Expect to pay for parking. The event parking is not free. As of today, the peak bloom date is around Wednesday, March 20, 2019. The peak bloom date is the day where 70 percent of the Yoshino Cherry Tree blossoms are open. 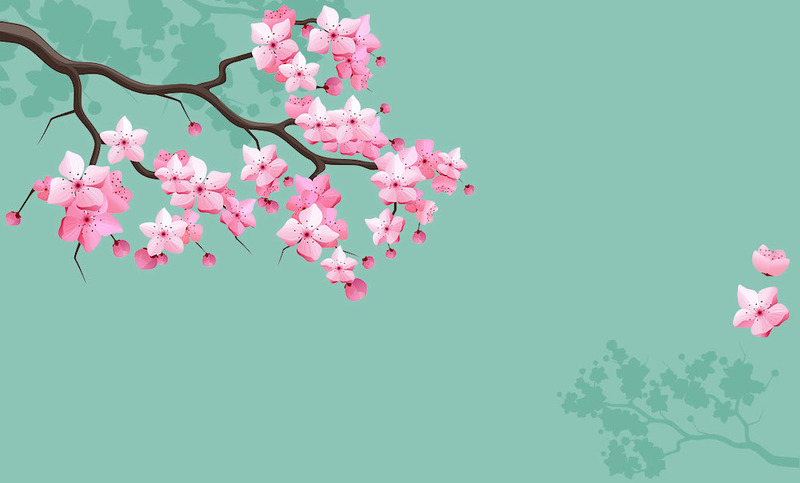 The National Cherry Blossom Festival coincides with the blooming of the cherry trees. The predicted peak bloom date in 2018 was moved several times due to weather conditions. It is not usually for the dates to fluctuate from year to year. Blooming cherry trees, just as any other garden plants are dependent on favorable weather conditions. Any unfavorable weather conditions such as frost or higher than normal temperatures can disrupt the bud development cycle. Heavy winds and/or rain can interrupt bud development, too. These weather related conditions can prolong the bud development cycle. Horticulturists at the National Park Service monitor the bud development cycle during the months leading to the festival. Accurate bloom times are difficult to make. Bloom predictions usually occur closer to bloom time. However, once the cherry trees bloom, the cherry blossoms can last up to 14 days. For additional information, see the Visitor Information – Bloom Watch website. The National Park Service horticulturists monitor the five distinct stages of bud development. The five stages are as follows. Green Color in Buds. Florets become Visible. Extension of Florets. Peduncle Elongation. And the Puffy White appears. The Peduncle Elongation is a frost critical stage. The Peduncle stage can impact the bloom period. The Puffy White stage lasts an average of 4 to 6 days to Peak Bloom. Check the cherry blossoms at the Blossom Cam. Which is found on the National Park Service’s website. Also, for those interested in donating to this worthy cause, you can find information on the Endow a Cherry Tree Campaign website. The Cherry Blossom Festival 2019 has many activities to enjoy. A few activities are listed below. On Friday, March 22, attend the Pink Tie Party. Saturday, March 23 attend the festival Opening Ceremony. On Saturday, March 30, take in the Blossom Kite Festival at the Washington Monument. Saturday, April 6 at the Wharf, see Petalpalooza. Enjoy the festival parade on Saturday, April 13. The National Cherry Blossom Festival Parade takes place on the final festival Saturday. On Saturday, April 13 visit the Sakura Matsuri Japanese Street Festival. Other festival events include a fireworks display, daily performances, and much more. Family fun for all! Award winning and British born artist, Simon Bull created the 2019 festival artwork. Mr. Bull is the recipient of numerous national and international awards. He has exhibited his art widely around the world, especially in China, Europe, and the US. The annual festival artwork has become a collector’s item for many. So once again, the official poster is available for order just as the previous years artwork. Plan on seeing the spectacular cherry blossoms in Washington DC this year. You won’t be disappointed with this incredible floral display. 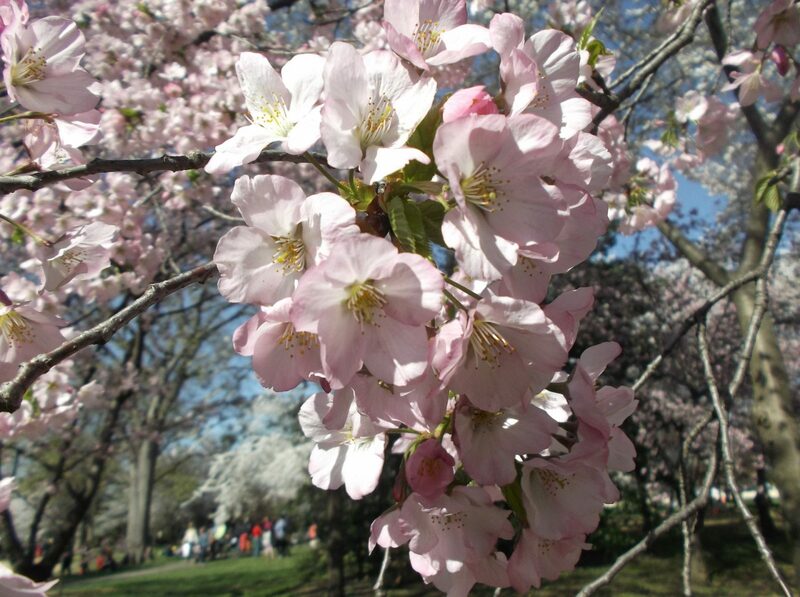 Cherry trees – a symbol of the natural beauty of our nation’s capital. Gifted in 1912 from our dear friends in Japan. The festival marks the beginning of Spring with an explosion of color and life. A grand sea of pale pink and white blossoms seen around the Tidal Basin. A majestic Spring time sight. The 2019 Festival will tentatively be held March 20 through April 14, with the Parade on Saturday, April 13, 2019. Dates are subject to change. Unforeseen weather conditions may delay the cherry blossoms. Disclaimer: Event details may change at any time. Check with the event organizer. Review the official website. And make plans to attend this spectacular event. Enjoy these other related posts. 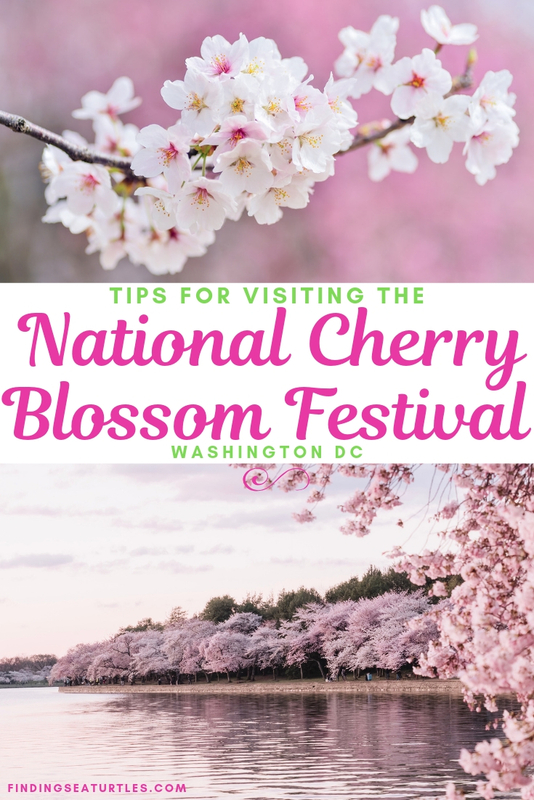 If you attend the National Cherry Blossom Festival 2019, let us know how you make out. And if you have any questions, feel free to reach out to us in the comments below. We always are ready to help you out.